It is required for New Zealand citizens to hold a visa when traveling to Vietnam. It is advised that you should check the information, requirements and process to get Vietnam visa before entering Vietnam so that you are not left with surprise in last minute. If you fly to Vietnam, it is much easier for you to apply Vietnam Visa on arrival online. Before applying for the visa, you should check passport validity to make sure that it has at least 6 months validity remaining. If there is no blank page on the passport, a loose-leaf visa will be issued. Step 2: Pay the processing fee online using Paypal or One Pay. The charge is $15 for 01 month single, $22 for 1 month multiple, $28 for 3 months single and $45 for 3 months multiple. For application of groups, the fee is lower. The approval letter will be sent to your email within 03 business days along with an entry-exit form. In case of emergency, you could request Express Visa Service to be delivered the approval on the same day. Your entry date is shown on the letter and it’s also the date that your visa becomes valid. You are allowed to visit Vietnam ANYTIME during visa validity. With the letter of approval, you are able to board the plane and pick up visa stamp at any Vietnam’s international airports (Hanoi, Danang, Ho Chi Minh, Nha Trang). Other documents required on arrival for stamping process include: original passport, entry-exit form, 01 passport photo. Besides, you have to pay stamping fee in order to receive the visa from Immigration Officer. It costs $25 for single visa, $50 for multiple visa. 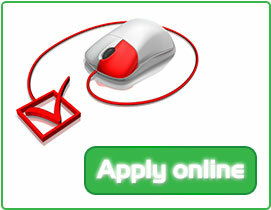 Please keep in mind that online visa application is only helpful when you are traveling by air. For overland crossing, you must obtain full visa stamp in advance of travel date.